This design is the 2nd of our Homestead series. 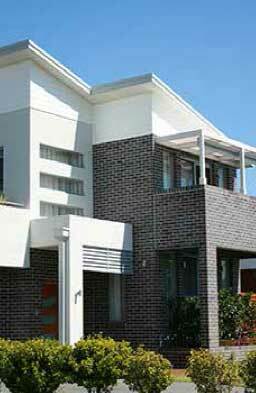 Homestead designs may also be known as large single storey home designs. The Homestead MKII is a grand homestead, catering for elegant rural living. 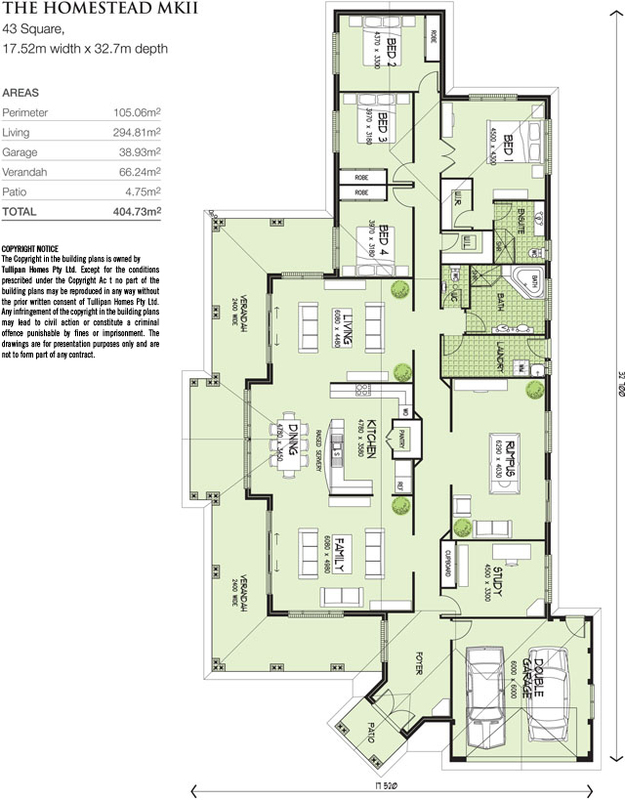 The Homestead MKIII includes 44 squares of luxury, convenience, spacious living areas and broad verandahs. Attractive gables, Dutch gables and federation verandah posts on brick pedestals give a distinctive look to the exterior. The portico entry leads to a large formal foyer with access to the double garage. A large study with cupboard is situated between the garage and a large rumpus room. The huge kitchen is the central feature of the living area. 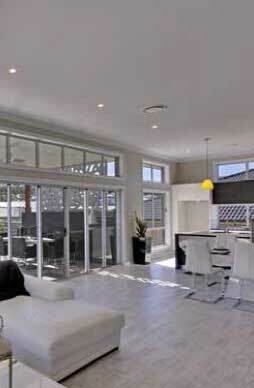 Large living, dining & family rooms surround the kitchen and flow onto wide verandahs.